I recently had the pleasure of interviewing a variety of the Holochain team where we covered numerous areas of the project in detail. Below is a collection of answers from Arthur Brock, Founder, that didn’t make that article. 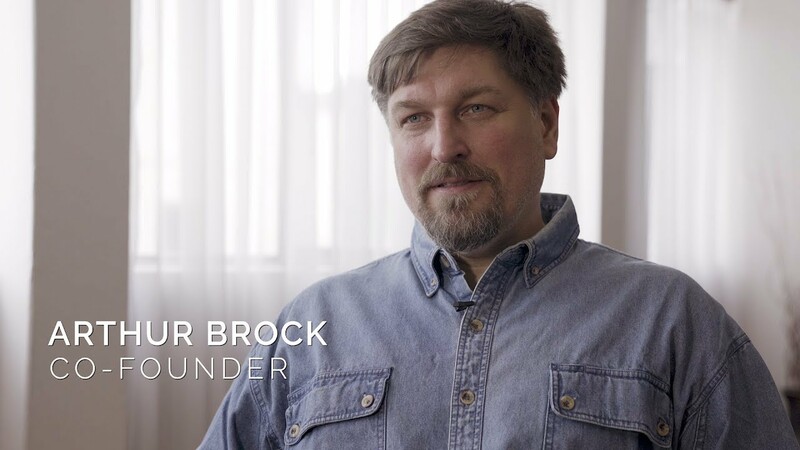 Arthur Brock builds targeted currencies that shape the social dynamics of our emerging post-industrial economy. He has created more than a hundred designs for multi-currency systems, and his software company has built and deployed dozens of those systems. Initially, Arthur put his experience with Artificial Intelligence into use at GM and Chrysler & Hughes, but soon shifted his focus to building that intelligence into social architectures. He started award-winning, employee-run businesses, student-run schools, and discovered that the engine that runs these types of organizations involves specific patterns of incentive and feedback. He began to unlock the secrets of the social DNA by which people operate, and the critical role of currency in the programming of those patterns. Arthur’s designs include currency systems for the following: collaborative scientific research, sustainable fishery management, corporate compensation plans, employee stock options, community-based economic development, business barter and exchange, triple-bottom-line trade credits, open source software development, customer loyalty programs, water rights, recirculating gift certificates, community service, employee performance management, arts and culture development, efficient resource sharing and management, and community and environmental impact assessments. What was the driving force behind the creation of Holochain? I’ve been engaged in the currency space for a long time. Actually, I’ve really tried to do some different things in that space. We have the Metacurrency Project, which, as the name implies, is a little bit about going beyond currency as we currently know it. We often talk about currency as current flow or the ability to see flows. We look at all kinds of things as currencies—a college degree, the credits you use to get it, and the grades that make the credits valid. These things are symbol systems—formal symbol systems—that we use together to track flows. We look at that as a significant source of collective intelligence in terms of how we organize ourselves on the planet. Obviously, money is also one of those things. Money is what has caused us to scrape off mountains to get to coal, gold, precious metals, and diamonds; it is what has driven us to literally change the phase of the planet in very important ways. We are deep currency hackers in some ways, using currency as a tool for reshaping social collective intelligence. For us, it’s not a tool for just getting rich and gambling on markets. We often set up different kinds of patterns from what you’d usually see for gambling or speculation. Out of the Metacurrency Project, we built a prototype platform called Ceptr, short for ‘receptor.’ That was our rebuild of the computing, communications, and currency stacks for optimizing human collective intelligence. It’s totally weird—nobody gets it, and it’s very hard for anybody to consider adopting it, as it shifts paradigms in a bunch of different ways. We actually took one little piece of Ceptr out as blockchain started gaining more traction and awareness. We took the way that multi-instance receptors synchronize with each other, and created a standalone version of it that we called ‘Holochain.’ We did that to basically go head-to-head with blockchain by bringing an architecture that’s inherently scalable. This is due to the fact that it’s built on the same kind of patterns used by nature—like how we have trillions of cells in our body that coordinate on massive scale. We are replicating those patterns in Holochain. Could you summarise your ultimate vision for Holochain? Holochain is one of six Ceptr sub-projects, and the beginning of realizing the ultimate vision of that project as a whole. Currently, though Ceptr is the bigger vision, Holochain is the focus. I would say that Holochain can exist without Ceptr, but the full implementation of Ceptr will make Holochain and all the parts within the Ceptr project more powerful. They are independent parts that will come together in the future. Out of the 6 projects connected with Ceptr, Holochain and Holo are the current implementations. Ceptr is basically the parent project. Holochain is the data integrity layer, while Holo is the networking layer. Holo is the flagship app we’re building on Holochain, our blockchain alternative, as well as our hosting platform to make it easier for folks to host the apps they build on Holochain. Ceptr is an infinitely scalable, distributed operating system inspired by biomimicry. Its basic computing unit is a highly composable, lightweight virtual machine called a “receptor,” which may be plugged into other receptors to form a fractal-like tree of nested receptors. These receptors communicate with one another exchanging semantic trees; this allows a “protocol for protocols” that ought to virtually eliminate the need for brittle API bridges. The grand vision of Ceptr is to create a “global nervous system” that will enable new forms of “grammatic capacities”—which would be analogous to how writing allowed for governments and corporations, and the internet allowed for sharing economy apps. It will create new organizational patterns for humans, and ultimately, implement the ideals of the Metacurrency Project. This is the part where we’re supposed to quote Einstein about how problems can’t be solved by the mindset that created them, and tell you about how Ceptr solves a bunch of previously unsolvable problems. We see what Ceptr makes possible as a much bigger deal than the problems it solves, although both are important. Problems Solved: Humankind has built a global, electronic, communications network which enables us to collaborate on scales like never before. However, the gap between theory and practice is immense. Technical barriers constrain access and make it difficult for applications to interface with each other. We have weak tools for working on large-scale collaboration and decision-making, and the power dynamics of who controls shared data and communications keeps it out of reach. APIs and Protocols compete with one another, keeping our computing infrastructure fragmented and brittle. But what if we could elegantly transcend all of these technical barriers at once? After all, shouldn’t our technology actually help us work together? Everything should work together easily. Audacious Possibilities: The social hurdles are just as challenging: entrenched economic interests, upside-down incentives, legal jurisdictions, challenges with large-scale decision-making, setting priorities in the face of numerous challenges, and melding diverse viewpoints into a shared perspective. Humanity is poised on the edge of a quantum leap in evolution—not at an individual level—but at the level of our collective social organisms, such as corporations, institutions, and governments. In order to make this leap, we will need the same kind of architectures of intelligence that make it possible for trillions of cells to work together in an organism. Large-scale, collective intelligence requires communication to be virtually instantaneous (electronic), peered, decentralized, semantic, and designed to evolve in response to rapidly changing needs. Effective collaboration on such a scale would obviate most of the power structures that underpin the social barriers to change, and could make formerly intractable problems—such as climate change, species extinction, resource depletion, and poverty—readily solvable.